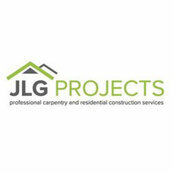 James and his team from JLG Projects have just completed a major renovation to our house and have made it a home again. James from JLG Projects built our raised deck with a flyover roof. We engaged James to add a 50sq/m extension to our home, taking it from a 3 bed/1 bath to a 4 bed/2 bath. The end-to-end process took approx. 4 months.